I am so pleased to have completed another project for the Rug Industry. I was recently fortunate to be able to collaborate with Lynn Tall of Rug Advocate® on the design of a new fully-responsive website for her business. Lynn and I worked together to design a new site that highlights her many service offerings for the rug community (including rug courses, consulting, and marketing materials). Lynn and I have worked together in the past on other projects and I am excited that we were able to complete her new Rug Advocate® site in time for the new year! Please visit Lynn online at www.rugadvocate.com (and if you are in the rug care industry please note that Lynn and I also collaborate on sites for other rug care professionals). Thank you Lynn for making this project fun! Dom Mariniello of Modern Yellow is a miracle worker and an absolute pleasure to work with. My old website was dysfunctional, outdated, and not very user friendly. After a few short weeks, he had built a new site from scratch that was far superior than I had imagined it might be! In my opinion, it’s now cohesive, clean, layered, and personal. I love it!! Dom is an excellent communicator. He makes updates and changes quickly, and sends screenshots of pages as they look on multiple devices, so you know how the finished product might look across the board. Dom also takes the time to list the specific things he needs from you to move forward – written content, photos, etc. For busy professionals, having a checklist like this is very useful! 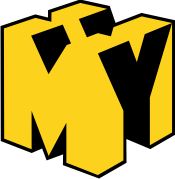 I highly recommend Modern Yellow for anyone looking to build a website from the ground up, or to simply re-vamp an existing website. You will not be sorry that you did!